If you offer it, deliver it! 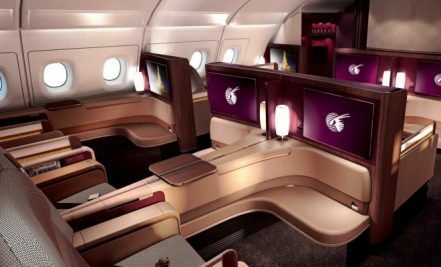 Qatar Airways cut back on the benefits you get on upgrade tickets last week, raising the question why. It comes down to the basic point that if you decide to promise something to your customers, you should deliver it, too! The news got almost unnoticed as it looks, at first glance, like a minor adjustment as they occur at programs across the globe on a daily basis. It might be exactly that, but it tells a long story about how certain airlines might see loyalty more as a costly burden than as business opportunity. Since last week, Qatar Airways’ Privilege Club members using their miles for an upgrade on a Qatar Airways flight receive baggage allowance and lounge access according to the ticketed cabin. If you upgrade from Economy Class, you have hence no access to lounges at any of your departure or transit points. While Qatar Airways and other airlines had such restrictions already in place for upgrades at the airport and on board from a purely operational perspective, which is easy to understand for customers, these restrictions take the upgrade philosophy to a new territory, which might not be very appealing to customers. Of course, Qatar Airways must have made the calculation and found out how many dollars they can save with this initiative each year. But as always with such calculations, the revenue loss can hardly be guessed or even less measured. But even if the net figure remains positive, the underlying message such changes send out can be disastrous. So, if you manage to have such an excellent and standard-setting product, you can and should leverage that. Upgrade awards have a proven aspirational value and definitely manage to create loyalty among certain travellers, notably corporate travellers obliged to travel in Economy Class by their corporate policies. Qatar Airways, as many others, has perfectly understood that by making upgrade awards a key element of their promise to FFP members. If you fit into the above description of a corporate traveller, it would typically take you about 12 paid one-way travels on any given route at a semi-flexible Economy fare in the Privilege Club until you have enough miles for a one-way upgrade on the same route. This means getting the privilege of an upgrade remains something exceptional for such traveller – and something he is likely to look forward to during his long Economy Class travels. It represents the only manner for him to travel in style without breaching the corporate travel policy. There is a clear aspiration for him, strengthening his loyalty – bolstered by the excellent product Qatar provides. If it is hence your strategic choice to leverage that loyalty opportunity by offering such kind of award, why should you stop so close before the finishing line by cutting back on 2% of the costs of an upgrade award, but damaging seriously the overall perception of the award? If you offer something, be willing to deliver it as well and don’t kill the offer by placing unsurmountable restrictions for the customer along the way. Worse and what is likely to happen: Yes, Qatar Airways is communicating clearly about that restriction, but not all members risk being so engaged that they get the message. Not expecting anything like that – either based on experience with other FFPs or just by applying logical thinking that they use a Business Class product -, imagine the customer showing up with two heavy suitcases three hours before departure at the airport with the intention of letting himself be spoiled in the lounge until departure… No need to be a loyalty expert to predict how such situation will change the future behaviour of the customer. Yes, this is only a small example, but it shows an increasing and dangerous gap between marketing promises – at which especially all Gulf carriers are great at! – and what airlines are willing to deliver. If airlines are unable to deliver certain things for potentially valid considerations, they should simply stop offering them rather than striping down the offer to a valueless shadow of the initial offering. As there is no need to reinvent everything, let’s just recall a very early definition of what made Southwest Airlines successful: Don’t promise anything and overdeliver. Most loyalty programs do the exact opposite these days and wonder afterwards what is wrong.